I love tea and coffee - but chai lattes have a special place in my heart, especially once the weather starts to cool down. Warm and spiced with cinnamon and cardamom and all that good stuff, Chai Lattes are one of my favourite treats - but sometimes I'm just too lazy to make them. 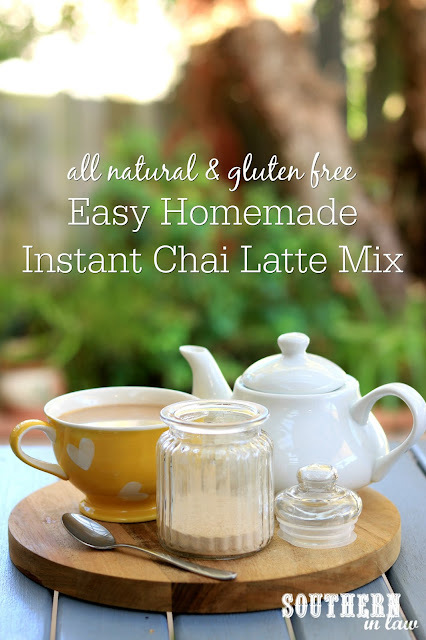 Enter: my Instant Chai Latte Mix. I'd seen (and bought) Chai Latte mixes from the supermarket before, but I have always found that they're full of funky ingredients. Numbers and emulsifiers and anti caking agents - not the kind of things I like to pour into my cup. 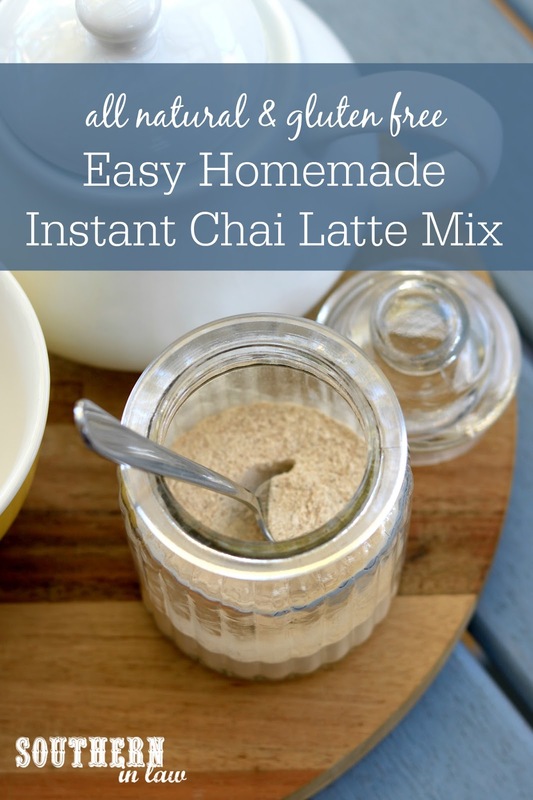 So I decided to do something different and come up with my own DIY Chai Latte Mix for a quick and easy option whenever I felt like a Chai Latte with black tea, a dirty Chai coffee or just a chai spiced milk drink. This instant mix is all natural. There's no funky ingredients and the only numbers involved are how many teaspoons of spice you'll need. Add all of your ingredients to a DRY blender or food processor (it's important that it's dry so your milk powder doesn't become moist and lumpy). Blend all of your ingredients until everything is fine and incorporated. Pour your mix into an airtight jar or container. 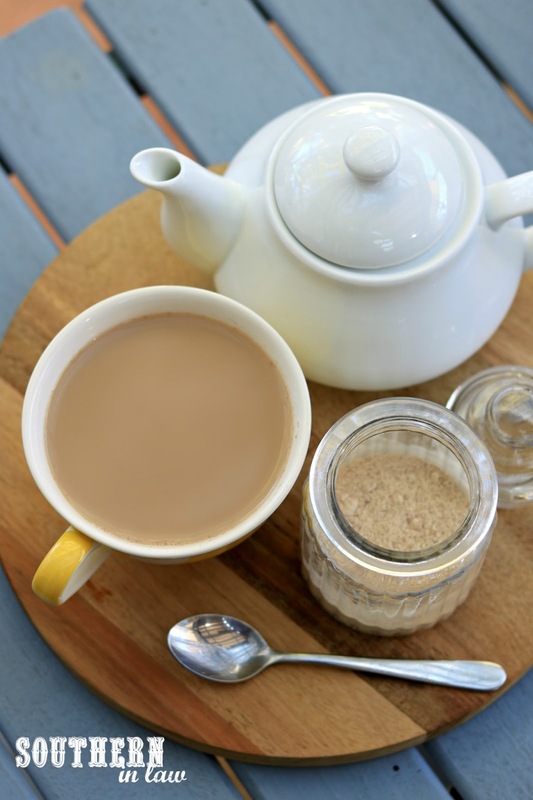 To make a Chai Tea Latte: Brew some black tea in a teapot or separate cup/jug. Add 1-2 heaped tablespoons of mix to the bottom of your cup and pour your tea on top. Alternatively, add your dry mix to a saucepan, mix with a small amount of hot water to dissolve and add in milk and a tea bag, heating over a medium-low heat until heated through and your tea has steeped. To make a Dirty Chai: Add 1-2 tbsp of mix to the bottom of your mug and pour over hot brewed coffee, stirring to combine. Your can also make an iced coffee version, blending the mix in a blender with your iced coffee ingredients or dissolving the mix in a small amount of boiling water before adding your iced coffee ingredients. To make a Chai Latte Drink: Don't want tea or coffee? Simply add 1-2 tbsp of the mix to a mug, pour over boiling water and stir to combine. Want a milkier version? Heat milk and 1-2 tbsp mix in a saucepan until heated through, stirring to combine. These ingredients are just a guide. Play around with the proportions, add more/less spices, add more milk powder and less sugar if it's too sweet or more sugar if you like things sweeter. *You can use skim/non fat or full fat milk powder in this recipe. I used an organic milk powder that had just one ingredient (milk!). 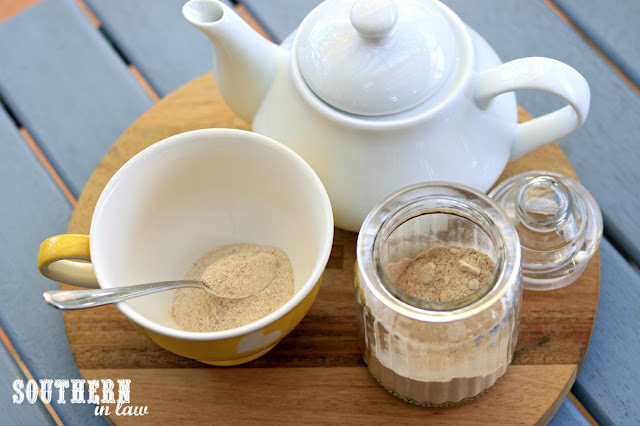 **If you don't have coconut sugar, you can use regular white sugar. If you want to reduce the sugar content, you could play around with using stevia etc. I'm not sure of the quantities as I don't use it personally. **I find ginger is one of those polarizing ingredients. Include it if you like it or leave it out (or reduce it) if you don't. Paleo and Vegan Option: you can use coconut milk powder instead of milk powder here. We have done this successfully but it is more expensive.